Previously, we posted a list of Top 10 Wedding Photography Questions based off of the commonly asked questions of our engaged couples. We find that as often as we answer common questions about wedding day photography, they are quickly followed up with additional questions about wedding day videos. We love wedding videos just as much as we love the photographic aspects! While some of the topics of your wedding day imagery do overlap, there are some specific questions about choosing videography that we’d love to answer for you! What style are your films shot in? Our films are shot in a cinematic style set to music. 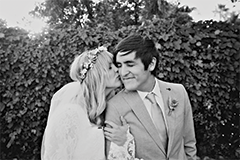 Think of your wedding day as a music video, with interludes of dialogue. Our films artistically capture your personalities; everything from those big unforgettable moments like a first kiss, to those quiet in between moments of a smile, wink or giggle that make your wedding day remarkable. I’m already booking photography through your studio. Do I really need videography as well? 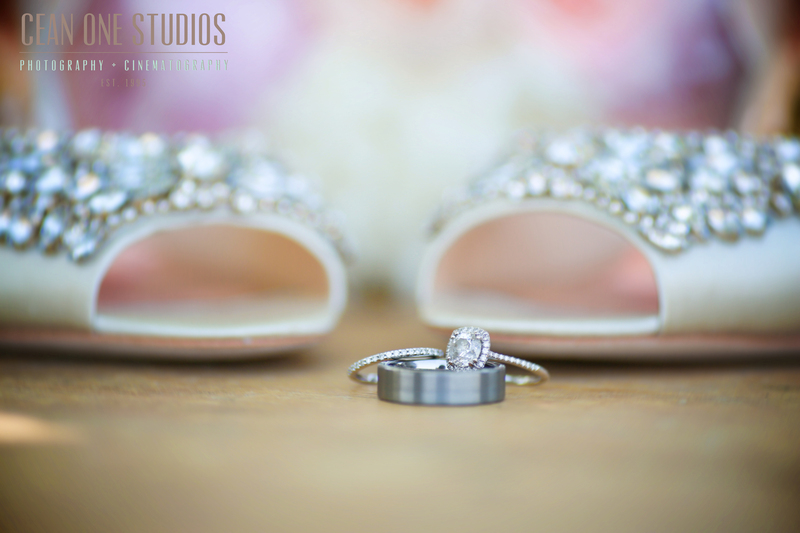 We’ll be the first ones to tell you how important photography of your wedding day is. Those still shots of you and your betrothed kissing, being your selves as well as family members and friends are truly priceless. However, video adds a whole different side to your wedding day. Wedding days can go by quickly and looking back, much of the day may be a blur. A wedding video slows down time for you to relive those important moments of your wedding day time and time again. Will you have a lot of bulky equipment at my wedding? Those days of big, bulky cameras that needed someone with large muscles to schlep around are gone. We shoot video on professional DSLR cameras with professional lenses. While we do need a variety of lenses, a tripod or monopod, and occasionally a drone, we keep them inconspicuously out of sight. Which parts of our wedding day will you film? Our cinematographer accompanies our photography team during your wedding day. We typically arrive once hair and make up are complete. We start with detail shots of your rings, dress, flowers, etc.. We’ll also film the finishing touches of your hair and make up- that last spritz of hair spray, one more swipe of lipstick. We film all of the important moments of your wedding day from the first look to the first kiss to the first dance. All the while, we capture those in between moments from his whisper in your ear, to mom wiping a tear during the father-daughter dance. What can we do the day of the wedding to ensure the best film possible? The easiest suggestion can also sometimes be the most difficult to tackle: be on time! We want to have plenty of time to shoot everything from the details at the beginning of the day to the toasts at the reception. While our team always does our best to make sure we cover everything, running behind risks not all shots being able to be covered. The other thing you can do to ensure the best possible film is to just trust us! Have confidence in your cinematographer and follow his or her directions. We’ve been in this business a long time and have creative ideas that may not be immediately apparent. They may ask you do to something that in the moment feels silly (like say, spin slowly around) but looks incredible in your film! Would you like input from us on our wedding film? Absolutely! If there is a specific shot that you know you’d like to make it into the final cut of your film, just let us know so that we can accommodate. 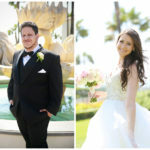 There is a typical order of most weddings that we shoot and are well versed in covering. 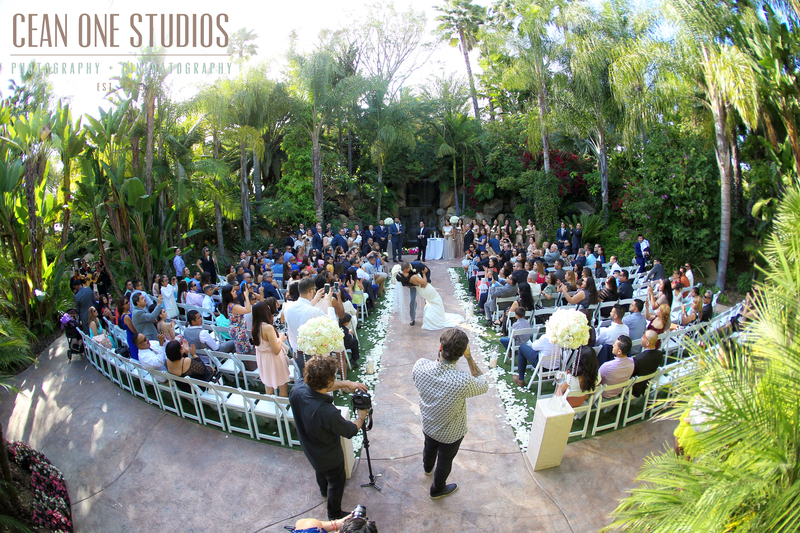 Before your wedding, you’ll be contacted to go over a detailed schedule for photography and video. If there is something you’ll be doing in your wedding that may not be traditional, or maybe a very important tradition, let us know before hand so that we’re sure to give it ample coverage. The more you communicate your wants and expectations, the better we can meet them! How do we receive our wedding video? All of our cinematography packages include both DVDs as well as an online link to view your video. The number of DVDs depends on the package you select. However, the link to view your video online can be shared with all of your family and friends so they can enjoy your big day all over, cinema graphically set to music. Can we make changes to the film once we’ve seen it? Of course! Our clients’ satisfaction is of the utmost importance to us. Maybe you realize after the wedding that including more of your maid-of-honor’s toast is important to you, or you’d like the portion that covers your reception to be shorter with more of your ceremony in the video. We welcome open communication with all of our clients and would love it if you shoot us an email, give us a phone call, or better yet, make a visit to the studio to sit down and go over edits to your wedding film. We love our wedding film, but it’s not long enough! What can we do? This is our most common question! When booking the cinematography portion of your wedding package, it can be hard to determine exactly how long you’d like your edited film to be. As mentioned in the previous question, we welcome edits to your video, but sometimes those edits include adding more time to your film. We are happy to upgrade your package or put together a custom package upgrade for you to get you the exact video of your dreams! When can we expect to receive our final wedding film? After your wedding, we are always so excited to get your footage uploaded and begin working on it! Depending on your package, you’ll receive a teaser for your wedding video within a week. Think of the teaser being a movie preview: a short glimpse of what’s to come. While your wedding day is still fresh in your memory, it’s a fun way to relieve the feelings of the day. The full cut of your wedding film is typically delivered to you within four months. Once you’ve approved any edits, your DVD’s will be shipped to you along with your wedding album. We hope we’ve answered your most burning videography questions! As you can see, we love our wedding films just as much as our wedding photography. Contact us to set up a consultation to go over your wedding videography options! © 2019 CEAN ONE STUDIOS, INC. BLOG|ProPhoto Photo Website by NetRivet, Inc.